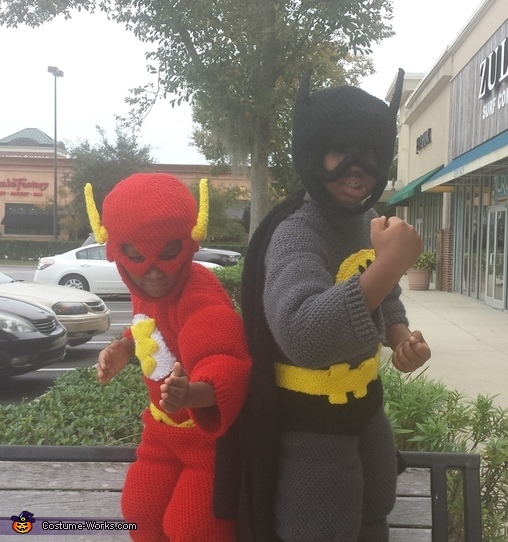 These are my two super boys as The flash and batman. I made the costume out of yarn. It is crotched together and framed with plastic canvas with a tiny bit of stuffing for extra muscles.